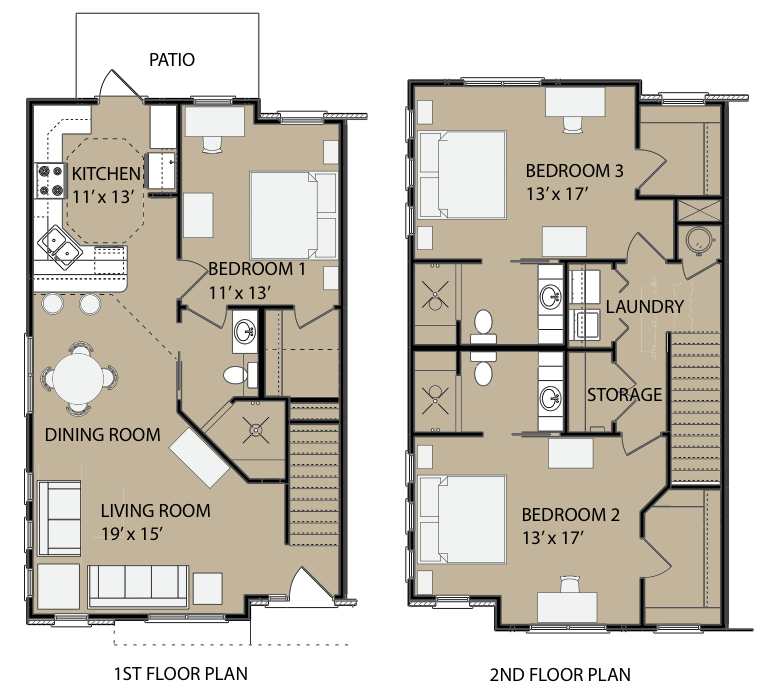 Brand New Townhomes – Call For Pricing! Hancock Place Townhomes are luxury student living at its finest. These newly constructed 3 bedroom 3 bath townhomes have superior construction and just walking distance to Florida States campus. Hardwood floors, contemporary craftsmanship, spacious floor plans and top of the line features that include granite countertops and stainless steel appliances make these units literally one of a kind. To ensure an ultimate quiet study experience, Hancock Place uses acoustically enhanced SoundBreak gypsum board in the wall construction of its units. This advanced product employs increased mass and a constrained-layer damping effect, provided by a middle layer of viscoelastic polymer, to reduce unwanted sound transmission. This smaller community is perfect for any student but you must hurry before they are gone. Make sure to call today to reserve your spot! Contact us for more information: mark@tauldevelopment.com or (850) 510-8891.